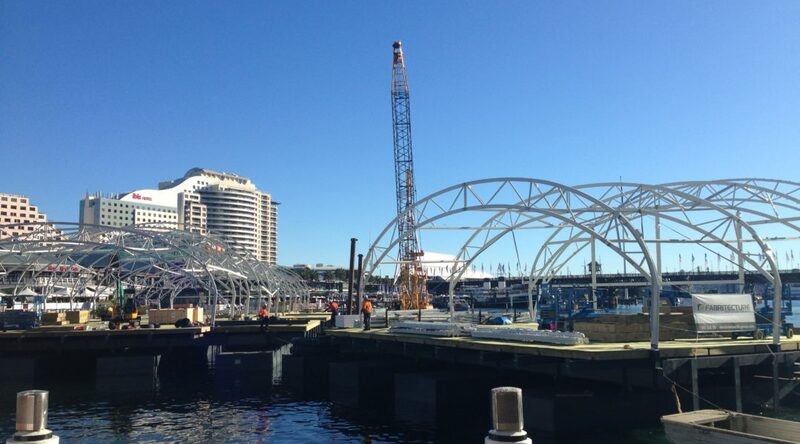 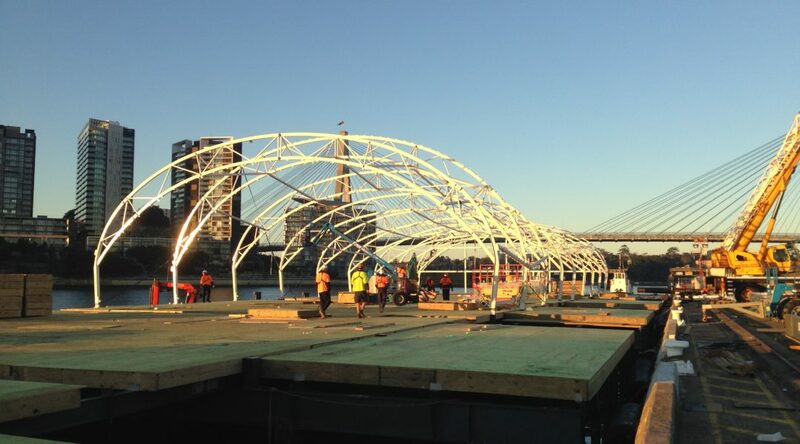 Construction of a floating function centre in Darling Harbour consisting of the installation of 6 steel piles for the pavilion as well as the installation of 3 access landings. 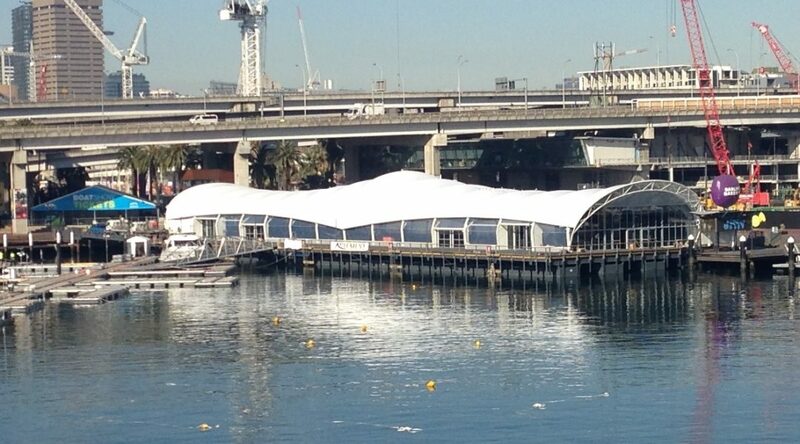 The pontoon was assembled by Clement Marine at our White Bay yard and involved the assembly of 800t of structural steel, prefabricated roof and flooring with an area of 96m x 26m. 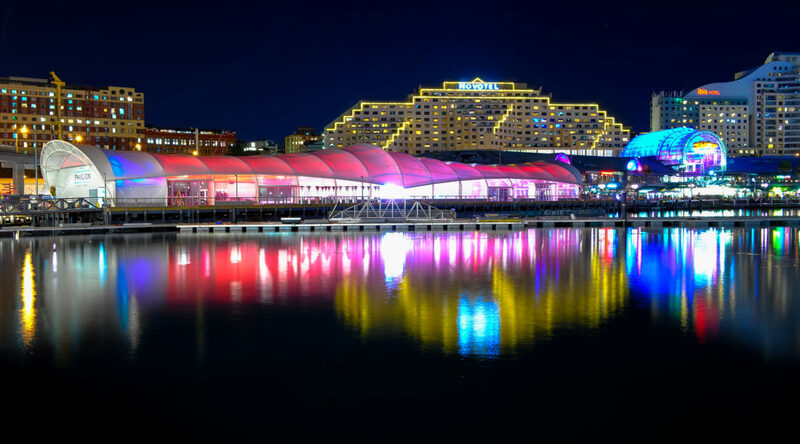 Clement Marine were then engaged to project manage the fit out of the pontoon with services including power, water and the final finishing to present the client with an operational function centre.